When Americans think of modern warfare, what comes to mind is the US army skirmishing with terrorists and insurgents in the mountains of Afghanistan. But the face of global conflict is ever-changing. 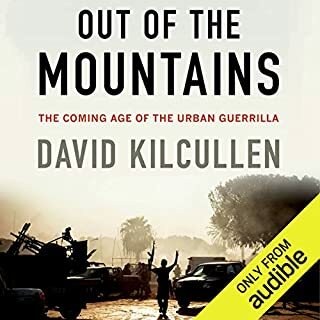 In Out of the Mountains, David Kilcullen, one of the world's leading experts on current and future conflict, offers a groundbreaking look at what may happen after today's wars end. Very detailed and informative approach. Kilcullen brings together his most salient writings on this vitally important topic. Here is a picture of modern warfare by someone who has had his boots on the ground in some of today's worst trouble spots - including Iraq and Afghanistan - and who has been studying counterinsurgency since 1985. 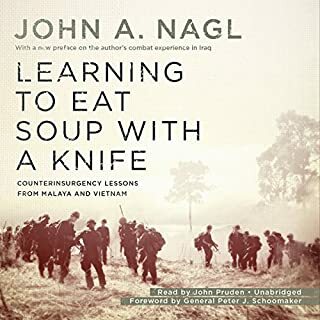 Filled with down-to-earth, common-sense insights, this book is the definitive account of counterinsurgency, indispensable for all those interested in making sense of our world in an age of terror. David Kilcullen was one of the architects of America's strategy in the late phases of the second Gulf War, and also spent time in Afghanistan and other hotspots. 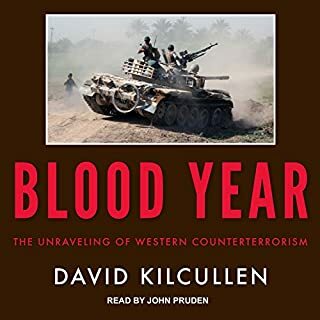 In Blood Year, he provides a view of the current situation in the Middle East and analyzes how America and the West ended up in such dire circumstances. This is an essential book for anyone interested in understanding not only why the region has collapsed into utter chaos, but also what the US can do to alleviate the grim situation. 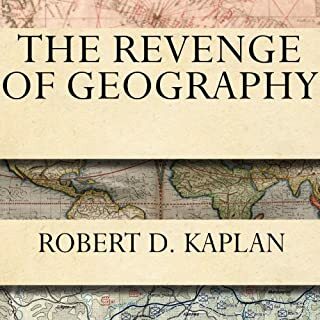 In The Revenge of Geography, Robert D. Kaplan builds on the insights, discoveries, and theories of great geographers and geopolitical thinkers of the near and distant past to look back at critical pivots in history and then to look forward at the evolving global scene. Kaplan traces the history of the world's hot spots by examining their climates, topographies, and proximities to other embattled lands. One of the greatest stories ever told. Based on previously unavailable documents and interviews with more than 100 key players, including General David Petraeus, The Insurgents unfolds against the backdrop of two wars waged against insurgencies in Iraq and Afghanistan. But the main insurgency is the one led at home by a new generation of officers - including Petraeus, John Nagl, David Kilcullen, and H. R. McMaster - who were seized with an idea on how to fight these kinds of "small wars" and who adapted their enemies' techniques to overhaul their own army. Warfighting is an invaluable resource for anyone interested in the subject. 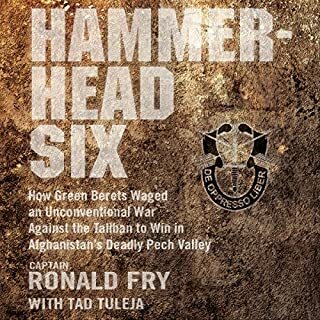 Currently on the USMC Commandants' professional reading list. The end of the Cold War promised a new era of international peace. But instead, violence has proliferated across the globe, not in the form of a superpower arms race or a clash of armies, but in bitter local conflicts marked by terrorism, insurgency, and guerrilla warfare. Former Central Intelligence Agency director James Woolsey likened the post-Cold-War world to "a jungle full of snakes". The emergence of this new, potentially never-ending struggle has forced our military to reevaluate strategies or risk losing hearts, minds, and soldiers the world over. David Kilcullen is one of the world's most influential experts on counterinsurgency and modern warfare. A senior counterinsurgency advisor to General David Petraeus in Iraq, his vision of war dramatically influenced America's decision to rethink its military strategy in Iraq and implement "the surge". Now, in The Accidental Guerrilla, Kilcullen provides a remarkably fresh perspective on the War on Terror. 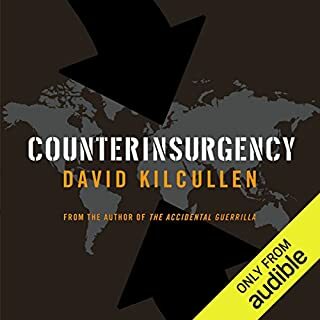 Kilcullen takes us "on the ground" to uncover the face of modern warfare, illuminating both the big global war (the "War on Terrorism") and its relation to the associated "small wars" across the globe: Iraq, Afghanistan, the Philippines, Indonesia, Thailand, Chechnya, Pakistan, and North Africa. Kilcullen sees today's conflicts as a complex pairing of contrasting trends: local social networks and worldwide movements; traditional and postmodern culture; local insurgencies seeking autonomy and a broader pan-Islamic campaign. He warns that America's actions in the war on terrorism have tended to conflate these trends, blurring the distinction between local and global struggles and thus enormously complicating our challenges. Indeed, the US had done a poor job of applying different tactics to these very different situations, continually misidentifying insurgents with limited aims and legitimate grievances (whom he calls "accidental guerrillas") as part of a coordinated worldwide terror network. We must learn how to disentangle these strands, develop strategies that deal with global threats, avoid local conflicts where possible, and win them where necessary. Colored with gripping battlefield experiences that range from the jungles and highlands of Southeast Asia to the mountains of the Afghanistan-Pakistan border to the dusty towns of the Middle East, The Accidental Guerrilla will, quite simply, change the way we think about war. This much anticipated book will be a must listen for everyone concerned about the war on terror. 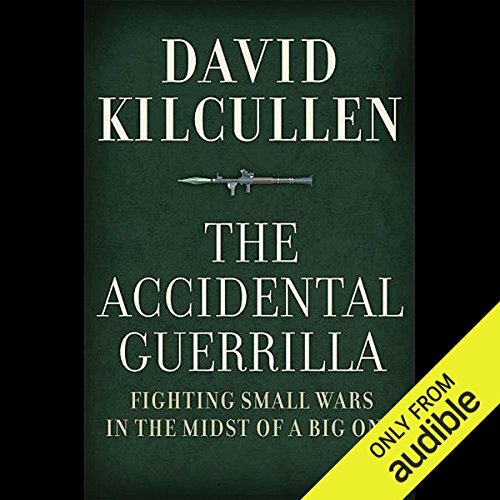 ©2009 David Kilcullen (P)2009 Audible, Inc.
A must read for anyone interested in the incredibly complex conflicts we face now and will likely face in the future. Few have the experience or pedigree in counter-insurgency that Kilcullen can boast. A great follow up to Tom Rick's "The Gamble", which might be considered an introductory text. Kilcullen's work is significantly more complex, yet manages to remain engaging. Kilcullen makes sense of the asymmetric battlefield: what works, what does not, and why. Anyone who has been or will be going to Iraq or Afghanistan will appreciate this work. All of our politicians need to read this book. Others may find it boring in part because the reader reads very precisely (slowly), including a painful reading of hundreds of acronyms at the beginning that no one will remember anyway &#8211; this makes sense in the written version as a reference, but should not have been included in the audible version. Minor error: MNFI is Multi National Forces Iraq, not Multi National Forces One. Kilcullen deserves 5 stars &#8211; packaging of his spoken version cost him a star. Highly recommended! The author is a major player in developing military strategy in today's US wars. His theory and recommendations are just now being implemented by the US military and the US government. This is a must read for anyone deploying in support of today's military conflicts around the world. You will want to listen to the conclusions several times! An enjoyable and easy to follow audio book which provided remarkable insight into counter insurgency tactics. The book was well read and laid out. Highly recommended for anyone trying to make sense of insurgencies in play across the globe. This is not the same narrator who read the acronyms at the beginning. There was another narration on Audible a while back that was awful. This narrator is great. This is so good, I bought the hardcover. Kilcullen provides a very thorough and comprehensive study of why we have so many zanies fighting us. The text flows nicely, but there are many details so this book is probably for people who have a pretty good understanding of Islamic fundamentalism, the situation in Afghanistan/Iraq, and geography. The quality of writing is excellent, and this means long complex sentences. So listening to this book means paying close attention. I listen on long drives and if I have to pay too close attention to the traffic, I find I've got to rewind to catch what I've missed. Did you notice that the Chairman of the Joint Chiefs recently started the AfPak Hands program??? That program would be the obvious next step to take if you read Accidental Guerilla. Concur with previous comment that this book is a natural follow on to The Gamble for those who are students of Counterinsurgency (COIN). The good news is that there are brilliant soldiers like Kilcullen who not only serve their nations, but go on to serve the world, AND take the time to write about it so the rest of us can be in the loop. And he's not just a ground pounder, but a brilliant thinker who can express himself beautifully in the written word. Improved my understanding of terrorism issues, the cause of, what events can lead up to it, and some of the actors at play during a 30 year span or so. -I've studied International policy, terrorism, security strategy and a bunch of other things, and am Australian, so hearing David Kilcullen explain different theatres of conflict, the history of how they got to that situation, and then how they were handled, with a relation to both the US & Australia was thoroughly interesting. -As a member of the military, this would be a fascinating read, people who are majoring in security strategy and warfare as well, and it should be a MUST for politicians. -This book, is a compiled and condensed account of the experienced amassed by David Kicullen who is a respected member of not just the military, but also in the realm of conflict resolution. I've heard him referenced by many other books, including 'Inside Delta Force', 'Strategy a history' and a couple of others. -He provides that much needed different perspective for doing the job that politicians and members of the public think is so easy to say 'yes to intervene' 'no to intervene' and the huge range of costs, information to learn and time spent. -I think if more people read this book and took on board the insights, they would be less impulsive in their decisions regarding war & security strategy. The narration is a bit dull and dry and times, and the information is very dense, which is why it took me so long to finish. A couple of long car journeys you can get through this, but it's also the kind of book you want to take notes. This was a very fine academic work. Not flashy or particularly exciting, but well thought out and calculated. Grasping this demanding topic is much simpler with the author's style. While I do not agree with all of the content, it's certainly worth a read and discussion. for me this was required reading. it was interesting content. I find it hard to retain info when listening to audiobooks so I will likely need to listen to it again. reading it probably would've taken 3x as long. Mandatory reading for all Members of Congress and anyone who cares about international security.